Contemplative Science: Where Buddhism and Neuroscience Converge by B. Alan Wallace. Columbia University Press, 256 pages, $29.50. Humankind has made spectacular progress over the past five hundred years in understanding the outer world. The inner world is another matter. Physical science is already, some say, within reach of a theory of everything. The science of mind, on the other hand, doesn’t appear to have a generally agreed-on theory of anything. Two new books illustrate two starkly different approaches to the study of that remarkable piece of work that is human consciousness. In 1950, one of the century’s great minds, Alan Turing, conjectured that, by any operationally explicit definition of intelligence, computers could be made intelligent. He even proposed a definition, which most scientists and philosophers have accepted: the ability to engage a human being in an email conversation without revealing its identity as a machine. Efforts have been underway ever since to construct a machine able to pass Turing’s test, a field of research called Artificial Intelligence (AI). One of AI’s leading figures is Marvin Minsky of MIT. His sprightly 1986 bestseller The Society of Mind is perhaps the most successful attempt so far to introduce AI to a general readership. That book set out to show how one can “build a mind from many little parts, each mindless in itself.” A mind is an ensemble, or society, of innumerable complicated interconnections, the result of “evolution’s countless tricks.” Consciousness, AI researchers contend, is not a single, ineffable quality; it’s a matter of degree, dependent on the complexity of those connections. And the hardware doesn’t matter; whether an entity’s brain is made of meat or transistors, mind is as mind does. In The Society of Mind and now in The Emotion Machine, Minsky tries to spell out what mind does. How does a child learn to fill a cup or to build an arch out of blocks? How do we interpret pain? How does instinct work? What does it mean to reason by analogy? What happens when we listen to music or fall in love? Minsky addresses such questions by breaking down the processes involved into logical sequences (eg, “place two blocks upright and lay another block on them horizontally”) and the rules that underlie them (eg, “if a block is lying down and you stand it up, it will take up less space”), which are aggregated into progressively larger structures of knowing and deciding. Some of his coinages (“microneme,” “truth-frame”) are a bit exotic, and readers may find one or another of his reconstructions implausible. If so, they are likely to find that Minsky has formulated their objections for them: one of the book’s attractive features is frequent interruptions by “Student,” “Critic,” and other imagined interlocutors who are not at all convinced. The Emotion Machine is a progress report, and its tone is, for the most part, appropriately tentative. About one thing, however, Minsky is insistent: the self, or soul, or spirit, is a fiction. “Consciousness” is a “suitcase” word, into which we’ve packed a great many ideas, some of them unrelated or even incompatible. The fact is – like it or not – that we are a “disorderly mess of contraptions and gadgets,” the product of “countless thousands of accidents” – though no less noble in reason or infinite in faculty for all that. Alan Wallace emphatically disagrees. AI has been around for fifty years, with few successes to show. Buddhism has been around for 2500 years and has produced a great many enlightened contemplatives with extraordinary mental powers. Wallace is indignant that, even though no Western scientist (with the honorable exception of William James) has seriously studied the varieties of spiritual experience, virtually all of them consider the Buddhist legacy beneath their notice. Buddhism is arguably not a religion, and although Wallace is himself a meditation master (as well as director of the Santa Barbara Institute of Consciousness Studies), Contemplative Science is not a religious book. He simply wants neuroscientists to put aside their dogmatic materialism and investigate a body of evidence that could “revolutionize the cognitive sciences.” Buddhist meditators regularly find, if they work hard and long at focusing their attention, that their mental state changes. They settle into a “deep state of equilibrium,” free of torpor or distraction, penetrated by light and joy. If they persist, they can reach “the level of primordial consciousness, transcending the conceptual demarcations of subject and object, mind and matter, and even existence and nonexistence,” an achievement that produces “a state of well-being beyond imagining.” It also frequently produces clairvoyance, clairaudience, telekinesis, lucid dreaming, and the remembrance of past lives. And it answers our fundamental questions about the nature and origin of mind. I’m as skeptical as the next dogmatic materialist, but Wallace makes a strong case. He certainly knows his neuroscience, and physics too. And whether or not you reach primordial consciousness, there’s a lot to be said for simply sitting still. For five centuries Western man (and lately, woman) has turned outward, mastering and finally threatening our habitat. Perhaps it’s time to turn inward for a spell. 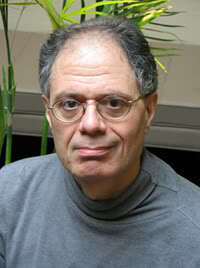 George Scialabba is a book critic and the author of Divided Mind.